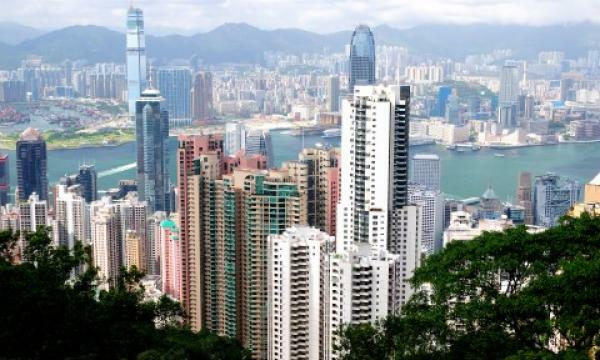 Hong Kong’s property market scene is experiencing a surge in interest from both Chinese and local developers acquiring older buildings for redevelopment given the challenges they face in the government land sale programme. In 2018, compulsory sale applications from Chinese developers surged 160% YoY to 39 applications received by the Lands Tribunal, based on JLL’s latest Residential Sales Market Monitor report. Some of the compulsory sale applications received in 2018 included 2B, 2A, 2 & 4 Whampoa Street in Hung Hom, 13 & 13A Liberty Avenue in Ho Man Tin, Yee Tak Building, 121-131 Shau Kei Wan Main Street East in Shau Kei Wan and Bonham Terrace, 24 & 26 Bonham Road in the Mid-Levels area. According to Denis Ma, head of research at JLL, with Hong Kong’s heavyweight developers always involved in the most desirable tenders, it is difficult to win a tender without paying a significant market premium. “You can see this in the strike rate of mainland Chinese developers in government residential land sale tenders, which from 70% in 2017 to just 27% in 2018 despite maintaining a high participation rate,” he explained to Hong Kong Business. In addition, Ma noted that most of the government sites sold in recent months are moving further away from the city’s urban areas. “So the only way for developers to acquire sites in urban areas is largely restricted to redevelopment opportunities. The increased uncertainty in the market’s near-term outlook is also likely to have spurred some developers to shift their strategies towards urban areas and hence compulsory sales,” he added. JLL adds that it expects applications for compulsory sales to continue to rise owing to the limited supply of urban development sites in government’s land sale programme over the foreseeable future. Despite the process in acquiring development sites through compulsory sales being more lengthy and complicated compared to government land sales, the rising interest of mainland Chinese developers on compulsory sales can be partly attributed to their growing familiarity with the Hong Kong property market and comfort in pursuing more complex investment opportunities. After being absent in 2017, developers from mainland China refocused on older properties as a source of land supply with Vanke Property submitting a total of 8 applications, including a large scale site amalgamation project at Hai Tan Street in Sham Shui Po. Figures from JLL showed that Chinese developers won 27% of government land tenders for residential development sites in 2018 compared to 70% in 2017 even as they maintained a high participation rate in tenders. Not to be outdone, local developers, especially smaller players, have reportedly always viewed compulsory sales as a channel for acquiring development sites and have been active in this segment of the market. Of Hong Kong’s local developers, Henderson Land submitted seven applications in 2018, followed by Swire Properties with four applications and Wang On Properties with two. According to Mabella Ma, director of development and valuations at Swire Properties, the two sites it filed compulsory sale applications for at Wah Ha Factory Building, No. 8 Shipyard Lane and Zung Fu Industrial Building, No. 1067 King’s Road at Quarry Bay will be redeveloped for office and other commercial uses. “Swire Properties has had a presence in Quarry Bay for almost 140 years. We have a major foothold in the area and are excited to expand our presence and build on our investment in the district,” she highlighted. In 2018, a joint venture company in which Swire Properties holds a 50% interest also submitted a compulsory sale application for the site located at 983-987A King’s Road and 16-94 Pan Hoi Street in Quarry Bay. “Subject to the joint venture company’s successful bid, the site will be redeveloped for residential and retail use with a gross floor area (GFA) of approximately 400,000 sqft,” Ma added. Swire Properties is also slated to expand its footprint in the wider Pacific Place neighbourhood with a new site opposite to four-storey mall Three Pacific Place. The new site will be redeveloped into an office development, with an aggregate GFA of approximately 218,000 sqft. Slated for completion in 2023. Meanwhile, developer Easyknit International Holdings, which submitted one compulsory sale application in 2018 for an order to auction all the undivided shares of the project on Chatham Road North, revealed that it plans to redevelop the site with an area of 4,685 sqft. Easyknit International Holdings is primarily engaged in commercial and industrial property investment, loan financing and securities investment with a property development arm developing and holding residential properties for sale. “The Group mainly expands its land reserves through acquiring old buildings for redevelopment. It selects sites located in urban areas or near MTR stations, since these have typically higher land values,” a spokesperson from Easyknit International Holdings commented.